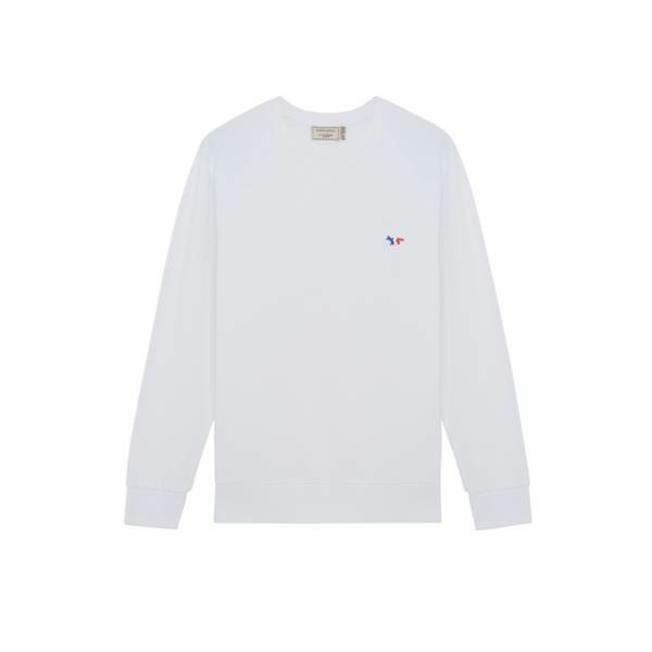 This Maison Kitsune cotton sweatshirt features a round neckline and long raglan sleeves. The fashion house's signature tricolour fox insignia is embroidered on the chest. Straight cut and ribbed finishes.